Dairy is certainly not my friend. It is not welcome in our apartment (though this is because, first, of allergies, as I mentioned before). I haven’t eaten it in so long that now if I do when out due to literally no other option, I find I end up with minor stomach aches. Almond milk is the best. Regarding eggs, have you ever tried making scrambled tofu? That’s my go-to and it takes about the same amount of time to prep as scrambled eggs with the right amount of knowledge and pre-planning. I’ve been meaning to do a post about that. Maybe I’ll do that sooner than later. Those no-bake sweets sound amazing. I’m definitely NOT the baker in the relationship so I am all about easy no-bake things. Definitely going to be looking into those. That smoothie sounds amazing. That’s approximately what I do in mine save for the protein powder. Still looking for one that isn’t manufactured in the same facility as whey as even dairy-free powders made in the same facility set off my fiancee’s allergy. One day we will have protein powder. Just not yet. I love hearing about your progress! Hi Dannie. Sorry for the delayed response. You’re so personable and sweet, I feel like I know you. Thanks for taking the time to comment. I appreciate your constant encouragement. I haven’t tried scrambled tofu before. It sounds like it would be a good alternative. I am so not a baker, so I feel the same way you do. Let me know if you make any of these recipes. That’s a bummer about the protein powder. Your poor fiancee, it would be scary to be that sensitive to dairy. I love starting my day with a smoothie. I usually sprinkle cacao nibs or coconut flakes on top for some crunch. Also helps to get the digestive juices flowing. Thank you for the awesome recipe! Thanks so much for including my recipes!! Thanks Vivian. I’m glad you enjoyed the post. I am so impressed by all of these changes! Amazing! The smoothie sounds surprisingly great! Look like a bunch of health. My kind of smoothie, I will be watching this and trying it and coming back for more!!! Thanks Dana. I’m glad you enjoyed it and found it helpful. I am so proud of for the progress and changes you have made. thank you for the smoothie recipe,can’t wait to try it for a different breakfast. One day I plan to make the no bake treats,will let you know how I like them. Definitely let me know if you try the recipes. Oh that’s exciting. 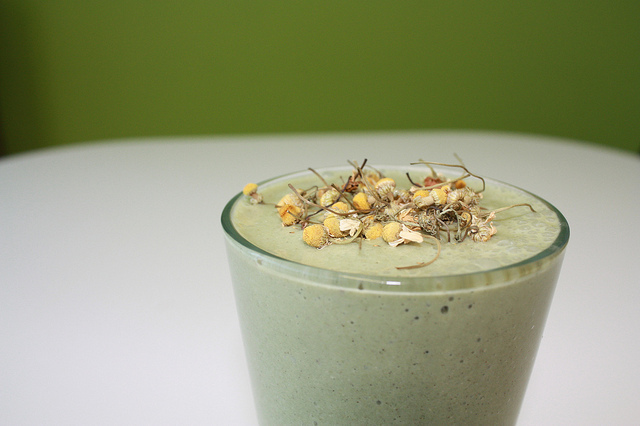 Do you have any favorite smoothie combinations? I’d love to hear. Welcome to the nondairy club! The cacao nib or coconut flakes sounds delish! I will have to try that. Thanks for the tip. Cutting out eggs is part of the plant based diet. I haven’t read much about why eggs are excluded, but my mom has sensitivities to eggs so I figured it couldn’t hurt. I plan to still eat them occasionally as I don’t find them to be problematic. Hope that helps.